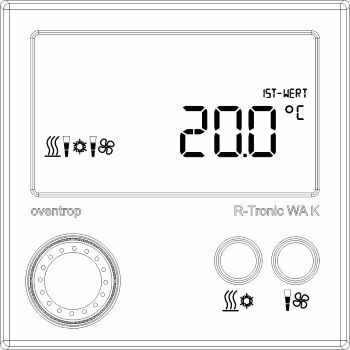 Electronic room thermostat for room temperature control of fan coil units with heating and cooling function, for instance in hotel rooms or rooms open to the public. 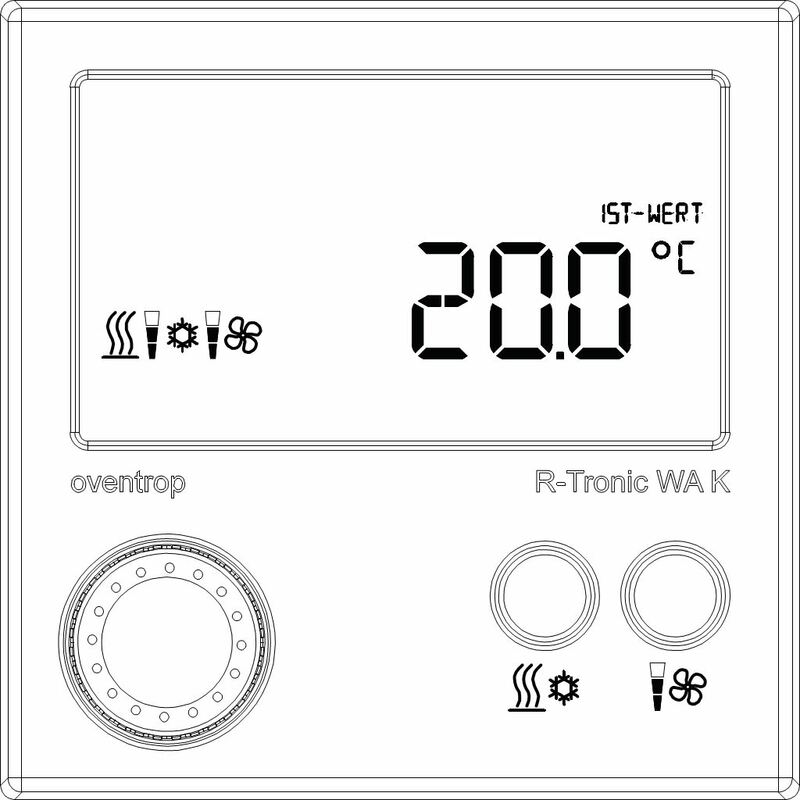 A simple self-explanatory menu command allows selection of the nominal room temperature between an upper and lower limit, and three-stage or automatic (temperatured controlled) fan speed control. The formation of condensation during cooling periods is monitored by the integrated humidity sensor. Flush-mounting protects the thermostat against unauthorized removal. Power supply: The 230 V power supply and the switching outputs for the fan drive are mounted in a deep flush socket.